As I emerged from my drab office building, I was overcome with the power of the wind. I didn’t notice it at first, I must have been caught up in a thought but as I glanced out the corner of my window the leaves swirled. Then, driving out of the parking lot, I felt my car gently shake and a loud clunk—obviously an acorn had struck me side on. Then I knew the wind was blowing, hard. It’s those gentle reminders, whether they’re nature’s acorn or self-induced subtle incidents—like the time I put the toothpaste in the refrigerator—that wake you up. As we enter the holiday season, it’s important to think about the concept of thankfulness. This year I have a lot to be thankful for, as I have every year. I, however, like many others, at times, get off track. 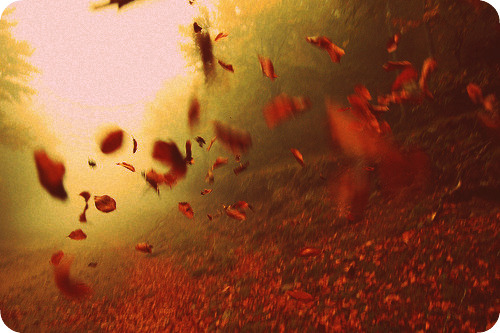 I get caught up in those swirling leaves, swooshing around, busily, allowing everything around me to become a blur. Then an acorn hits me on the head and I STOP. Pauses as I see it are great in two different, but equally important, ways. They offer us a moment to stop the chaos (noted above) and reflect, recharge, and realign. Please pause this holiday season.